Cam, a 26-year-old male playing flag football on the weekend, presents for evaluation of his left knee. He complains of medial-sided pain and some swelling. He finds that it feels loose and is very stiff first thing in the morning. He denies any previous injury to the knee. He was hit on the outer side of his knee by an opposing player and his knee buckled inwards. He had immediate sharp burning pain along the inside part of his knee. An examination by the physician reveals normal alignment and no sign of a hemarthrosis. Range of motion is full but there is pain along the medial side of the joint. There is tenderness along the medial femoral condyle. There is no tenderness along either jointline. Ligament testing reveals a stable ACL and PCL. The MCL is slightly lax with an endpoint and pain with testing. The LCL is normal on exam. The joint above and below are normal on examination. Cam could benefit his condition by seeing a physiotherapist to help him with stability and an MRI to rule out a tear. A bracing specialist could help him with bracing options to keep his knee mobile and active and a sports medicine doctor for further evaluation. Lastly, Cam could ask for a referral to an orthopedic surgeon to consult about potential surgical options. MCL (Medial Collateral Ligament) knee injuries. 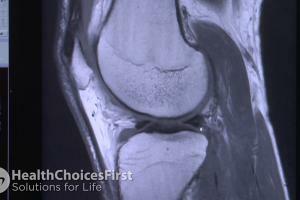 MCL (Medial Collateral Ligament) knee injuries.Dr. 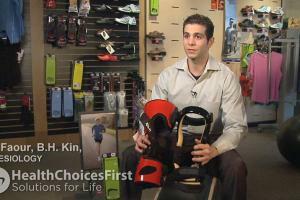 Jordan Leith, MD, MHSc, FRCPC, Orthopedic Surgeon, discusses MCL (Medial Collateral Ligament) knee injuries. An orthopaedic surgeon specializes in the diagnosis and treatment of bone and skeleton-related problems, and can help assess your MCL tear. Bracing and orthotics are specialties within the medical field involved with the design, manufacture and application of orthoses and braces for MCL tears. A physiotherapist is a health care provider who uses non-invasive techniques to prevent and treat injuries like MCL tears. A radiologist is a physician who specializes in obtaining and interpreting medical images through x-ray, CT scan, ultrasound and MRI in situations like a MCL tear. A chiropractor is a health care provider who practices a manual approach when treating patients for conditions like MCL tears. A sports medicine physician specializes in sport and exercise-related injuries, and can help patients who have suffered an MCL tear. Conversation based on: What Are The Symptoms of an MCL Tear? " Cam a 26-year-old male playing flag football "
Perhaps resting his knee for a significant amount of time would allow it to heal. Reply to: What Are The Symptoms of an MCL Tear? " Cam a 26-year-old male playing flag football "
I would venture a guess that this flag football is a weekend recreational activity for this man, and if he is not doing a lot of other exercise, he could definitely be more susceptible to a knee injury like an MCL tear. This case doesn't mention whether he is at a healthy weight, but if he is carrying around some extra weight that could put more stress on his knee and increase his risk for injury. 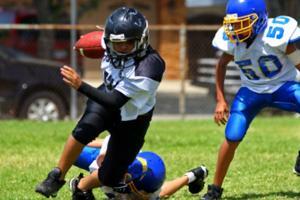 Participating in exercises throughout the week could make him less prone to injury when he plays on the weekends. Is there a way that MCL tears can be avoided ? I think it's important when people who play strenuous sports occasionally hurt themselves, that they understand the injury and what modifications should be taken until they are fully recovered. By working with a physiotherapist, this young man can take the necessary steps to returning to his activity without rushing it, as many 'weekend warriors' do, opening themselves up to easy re-injury. When it's mentioned that the knee feels loose ? Is that due to swelling and fluid retention ? What is a hemarthrosis ? And how is it diagnosed or ruled out ? Hemarthrosis is bleeding into the joint spaces. As to how it is diagnosed, it can be seen on an x-ray by a trained radiologist. I see a lot of injuries happening with people that go out and do strenuous exercise on the weekends, like team sports. Having a regular exercise program to help your baseline level of fitness can better prepare you for these harder workouts. While I have not personally torn my MCl I have had my knees scoped and certainly dealt with a lot of pain with competing in over 100 Triathlons. getting on top of injuries as fast as possible helps significantly with recovery.